Don’t just detect breaches, prevent them with SonicWall next-generation firewalls and award-winning network security solutions. In today's connected world, everyone is vulnerable to real security threats in many different forms. Keeping your systems and patient data private and secure is the number one priority for dental IT. The patient data you manage is a literal gold mine for bad actors, so they are serious about getting it. With state sanction and resources behind the effort, the scale of the threat is formidable. Several Reno Dental offices were recently disrupted by Ransomware because they were caught unprepared. Don't let your office be the next statistic. 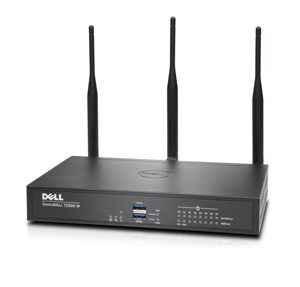 Dell SonicWALL TZ500 W wireless TZ-Series networking security appliance. The SonicWall Appliance is a state-of-the-art solution to both existing and emerging digital threats. With powerful processors and the Award-winning Sonic OS, SonicWall appliances perform deep inspection of every data packet transiting the gateway, enabling real time threat detection and active defense—while maintaining high throughput for legitimate traffic. Malware is stopped, but your apps and services run at full speed. SonicWall Security Services add capabilities to the appliance, enhancing security inspections and further hardening the appliance with additional layers of protection. A SonicWall appliance with both AGSS and the Client Capture Service is a total, end-to-end security solution for your system. Contact us today to find out how SonicWall ene-to-end security can protect your office. 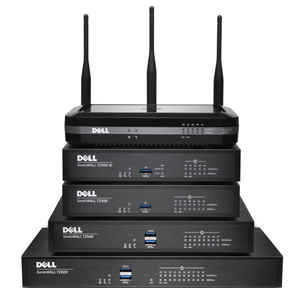 Dell SonicWALL TZ Series family of networking security appliances in a stack, featuring top-to-bottom: SonicWALL SOHO, SonicWALL TZ300 W, SonicWALL TZ400, SonicWALL TZ500, SonicWALL TZ600. 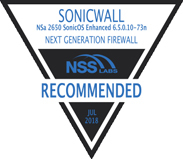 SonicWall NSa 2650 underwent thorough testing exercises, exposing the firewall to more than 1,900 exploits. To ensure real-world testing, NSS Labs engineers utilize multiple commercial, open-source and propriety tools to launch a broad range of attacks. SonicWall was successful in countering 100 percent of all advanced HTTP evasion, obfuscation and fragmentation techniques. 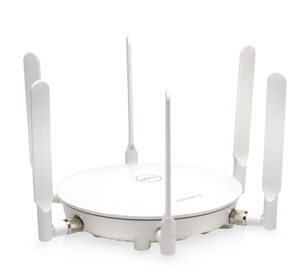 The Dell SonicPoint N2 offers secure, high-performance 802.11n wireless LAN connectivity with excellent signal quality and range. Integrates with SonicWall Appliances to create secure wireless access to the LAN, plus secure Guest Access to the Internet with no LAN access. Multiple SonicPoints coordinate your WLAN in larger spaces. SonicWall Advanced Gateway Security Suite (AGSS) is a complete suite of security services for SonicWall firewalls that features Capture Advanced Threat Protection, Gateway Security, Content Filtering Service and 24x7 support to stop known and unknown threats. An upgrade over SonicWall Comprehensive Gateway Security Suite (CGSS), it features Capture Advanced Threat Protection, a multi-engine sandbox that runs and inspects suspicious files and code in an isolated cloud-based environment. SonicWall Capture Client is an antivirus platform that delivers multiple endpoint protection capabilities, including advanced malware protection, network sandbox integration, and support for visibility into encrypted traffic. Capture Client works with your SonicWall appliance to deliver enhanced workstation protection and compliance. Find Out How SonicWall Products Can Protect Your Office. Contact Us Today!